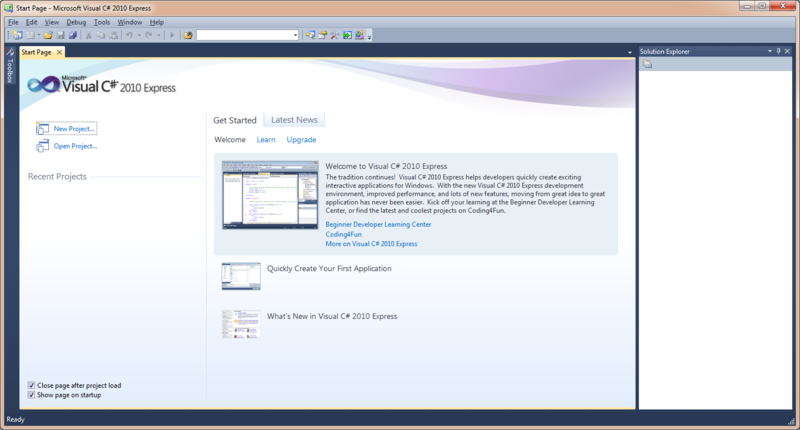 Visual Studio is Microsoft’s integrated development environment (IDE) to develop Windows applications. First version was launched in 1995. Current version is Visual Studio 2010, which targets the .NET Framework 4. As you might have guessed, Visual Studio is not free. I use Visual Studio daily, and I have to say that with each version that is released, it becomes more and more productive. In 2005, when Microsoft released .NET Framework 2.0, it planned to release lightweight versions of Visual Studio for a lower price. It was designed for beginning developers and students. Microsoft was going to release this lightweight version for free for one year of use. 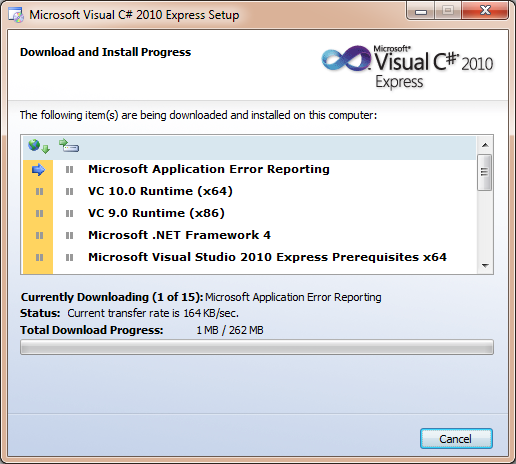 It was branded Visual Studio Express Edition. The Express Edition of SQL Server soon followed. Each .NET language was released as a separate IDE. And even though they don’t support some features like plug-ins, they do support other important ones, such as IntelliSense. After one year of use, Microsoft would start charging for the Express Editions. Due to the great acceptance and popularity in the community, Microsoft kept these version free of charge, and it has since then released Express Editions for every new version of Visual Studio and SQL Server. Go to the Microsoft Express download page and choose your favorite programming language. 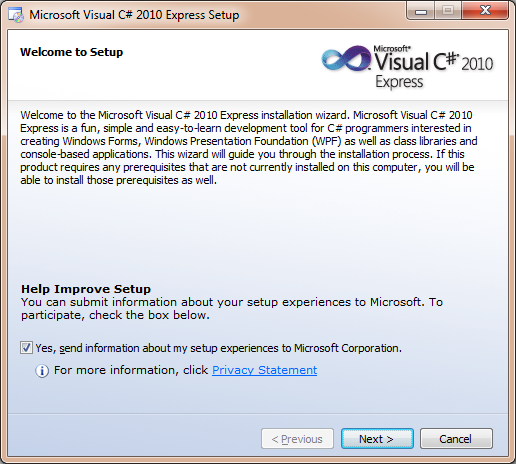 I picked Visual C# 2010 Express for this example. Download and run the installer. Click on Next in the welcome screen. 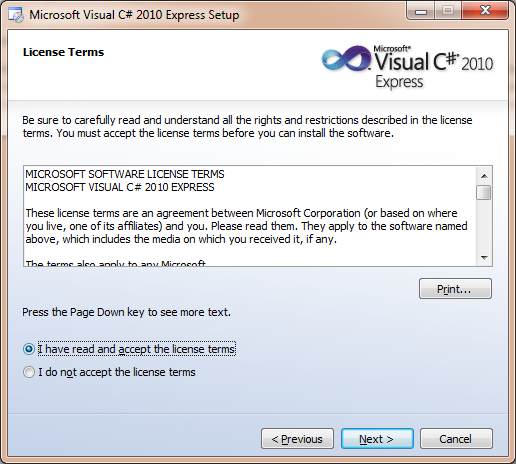 In the second screen, you need to accept the license terms in order to continue. 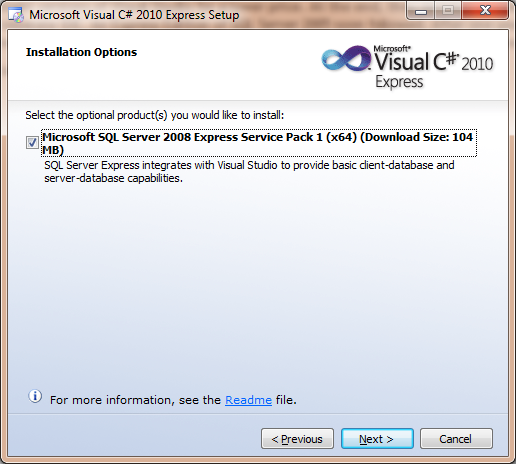 The installer gives you the option to install SQL Server Express as well. Go ahead and check this checkbox if you plan to develop database applications. In the last screen, you can change the installation folder. I used the default path. The installation is ready to start. Click on the Install button to start. The installation will take a while since the components need to be downloaded from the Internet. Click on Exit when all the components have been installed. 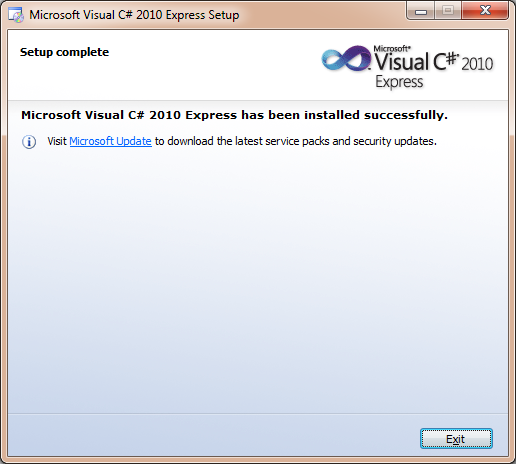 Once the installation is done, you’ll see the Microsoft Visual Studio 2010 Express folder in the Windows Start Menu. Depending on the language you chose, you will see the corresponding option inside this folder. In my case it’s Microsoft Visual C# 2010 Express. If you chose to install SQL Server Express, you’ll also see a folder for it in the Start Menu. You will also see the SQL Server Agent under the Windows services. Open Visual C# from the Start menu. You’ll see the Start Page. You can create a new project from here. 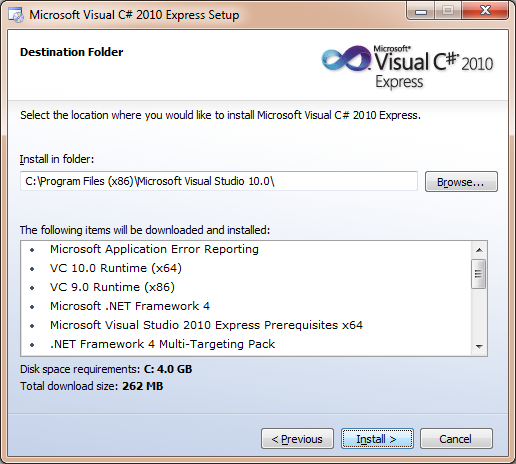 We’re now ready to develop .NET applications with Visual Studio Express. Please leave a comment if you have any question. If you found this article useful, you should join our email list. It's Fast and Free.